in a tiny tumbleweed of promises. like the drip and song of icicles melting. the fact that you soar is my forgiveness. this post is part of dVerse poets Open Link Night join us! This entry was posted on Tuesday, January 10th, 2012 at 8:02 amand is filed under . You can follow any responses to this entry through the RSS 2.0 feed. You can leave a response, or trackback from your own site. my god, this image! i wish i could soar like this. YOU do. every line here is perfection. every line. So many levels; every line, like gliding on an air current, effortless, until we soar, or swoop, to another level. Wow, don’t know which I love more . . . the words or the image. poetry tuesday is always a flight of fancy. what a capture and poem to match! excellent! you are bursting with talent! I am not sure why you dont have a book out with these amazing words and images .. you should ..
grace in your image and your words, thank you. hawks and doves…alone the title paints a picture…even more your verse…the shadow..the tripping..and then the gorgeous closure..much enjoyed.. So many words running through my mind upon reading this. Who was the “she” who called the threaded whisper. How great a threaded whisper must sound in the forest. The drip and song of icicles melting — beautiful. And the melting of the heart in forgiveness that is more a gift to the giver. These words pinch my soul like leaves falling from a vivid tree.. I wish I had found the pic for my poem first! This verse surely does soar all the way through and wonderful photo too! Love the opening stanza in particular. A lot of wonderful imagery throughout. And the fact that you’ll soar is also in the act of having forgiven. Lovely, lovely prose. the fact that you soar is my forgiveness….a great ending, great write. This is absolutely wonderful! You have an awesome way with words. Loved the ending… the comparison of soaring to forgiveness is wonderful. wow…..wow….did i mention wow ? causing me to trip on my own shadow/in a tiny tumbleweed of promises. – I wish I had wrote those lines. And pretty much the whole poem. reading your words takes my breath away sometimes!!! like i said: an altar. i don’t know where it comes from, sugar, and if you could bottle up this kind of perspective and talent and sell it off in teensy little ole’ bottles, i’d be your first customer . . . and my words would still sound differently, not quite measuring up, when they spilled. “but she called you icarus in a threaded whisper” This poem sings to me and threads itself inside my being. Thank you for this! wow. “the drip and song of icicles melting…” … and that last line. just… wow. I am trying to pin down the feeling that is within me… I have thought of a few things that came to my mind as I read this… it mostly just touched me. This was a beautiful piece, and I truly enjoyed it! “the fact that you soar is my forgiveness”. beautiful. the words are amazing. but i find myself drawn to the tree. the naked oddly shaped tree. and i believe it is “no coincidence that you crossed my path”. i come every day. I missed so much in January including this stunner from you. I love it, each line etching meaningfully and with grace into an inner space. I agree with rhayne, you have a beautiful mind. Searing, gripping, fascinating images. Rare, fresh diction unfolding what couldn’t be said any other way…in short, pure perfect poetry. took me a sec to find myself in the stream there…smiles….a wonderful one to revisit…love the hawk & dove pairing…it says enough but those last couple lines still carry it….thank you for being a part of dverse…its been wonderful reading you…you def have the skillz….smiles. My God, was this not perfection in each and every word. This is so worthy of multiple re-reads. Great. I am reading the best of the best. This poem is awesome! tripping vs. rising in air, power falling down vs. measuring up, icarus = icicles melting . . . “But she called you Icarus” meaning the overreaching and drowning was destined? Like father like son? Does it matter? “the fact that you soar is my forgiveness.” catches my breath in my throat. I go back to read about lack of accident, again, and again. I feel quite passionate about this poem, wishing we have free will and kindness, but not at all sure. “A threaded whisper”, the “song of icicles melting”… what beautiful images. The ending is especially strong. I remember that prompt and that wonderful picture… A good job you did! That last line is a poem in itself, superb! I really love the ending…. 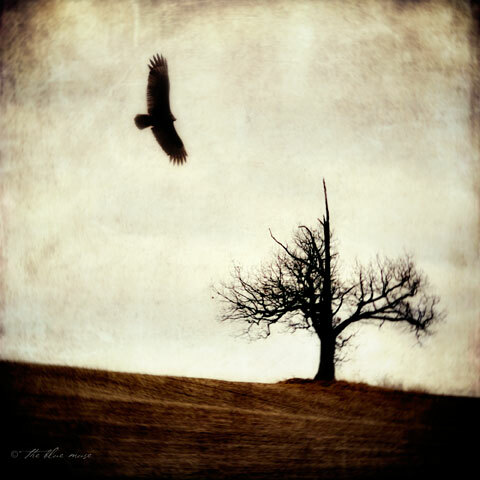 “the fact that you soar is my forgiveness” …beautifully meaningful to me. Good to revisit this great write ! Thanks for reposting this one. I just love it… especially the last line. Wow! Oh my goodness–powerful, perfectly pitched description and the last line makes the whole thing just awesome! “no one has ever measured up to your glare”, yikes. “the fact that you soar is my forgiveness” nice! So powerful- like all of your work. Without wanting to be embarrassing and ‘gushy’- I’ve got to say- you are defo one of my five writers over at the @dverse pub- your words are so hard hitting, sometimes stark, sometimes delicate and beautiful- but ALWAYS memorable and more importantly- meaningful….I look forward to reading more and more…. This is so amazingly suggestive, secretive, that it drew me in with its mystery. The lines are fascinating yet foreboding, calling up that fascinans and tremendum that lies at the heart of all truly great secrets. Is this your soul that flies so high, a spurning lover who mistreated you? Even making these questions raises intriguing juxtapositions and possibilities that make this poem sing with dark passions. I love this! Hawks come in and out of our lives all the time and we are left with tumbleweeds of promises asking forgiveness. Ummm…good stuff. shadows and flight and forgiveness in the sight of an eagle that soars…good stuff. Ah sigh…this is just that good.